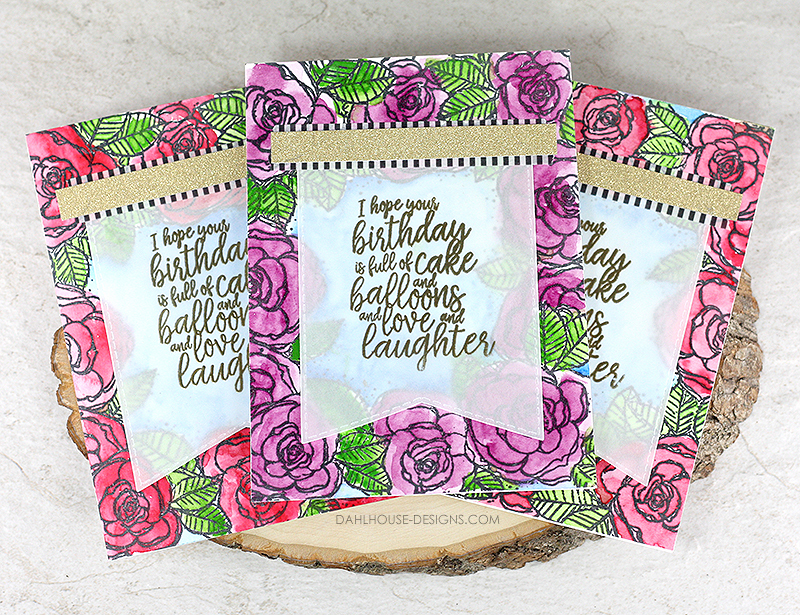 Today I’m sharing a lovely little card that makes watercoloring so easy. 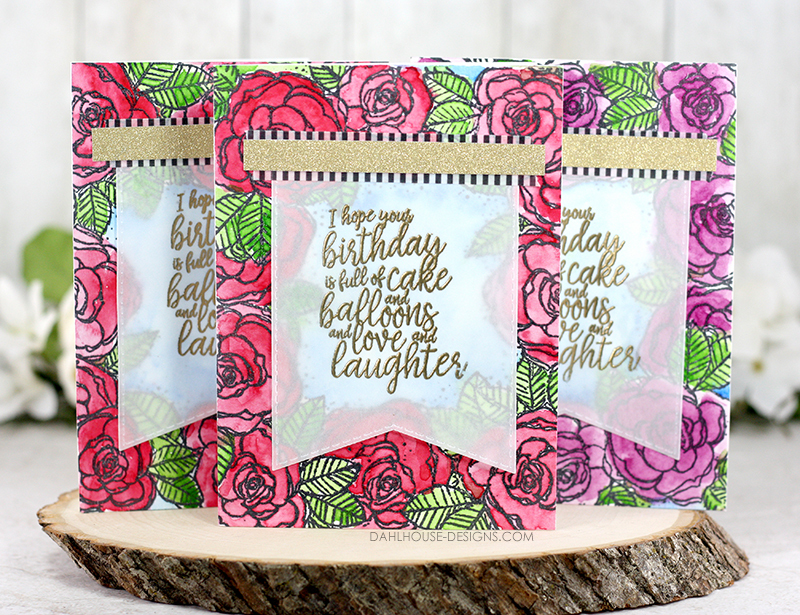 This gorgeous floral background stamp is just perfect for a watercolor look and pairs perfectly with the Unity Stamp Company sentiment kits. I love easy cards with stunning results. Unity has a fabulous line of border background stamps. Winsomeness is one of my faves. Those little rose blooms are just delectable. I took the easy route to watercolor in the blooms and all it takes just one little trick. Emboss your stamped image. Yep. That’s all. Embossing the image creates ridges to keep those watercolors inside the lines and to allow it to pool in all the right ways. You don’t have to be extra careful or worry about your technique. I’ll show you how easy it is in the video posted above. Stamp floral border background stamp onto watercolor paper and heat emboss with clear embossing powder. Watercolor image. Once dry, adhere to card front. Stamp and emboss the sentiment in gold on vellum. Trim or die cut into fishtail shape. Glue just the top edge of the vellum to the card front and cover with washi and gold strip of glitter paper. Beautiful watercolouring and card design, Lisa! Since I usually try to heat-emboss EVERYTHING, I can agree that having the raised border helps a lot. Love the gold-embossed sentiment on vellum, too. So so beautiful Lisa, love how you have added the sentiment!